Order confirmed. The scariest combination of two words in the English language loom at me from my computer screen. I, like many of us out there, have fallen victim to the perils of internet shopping. 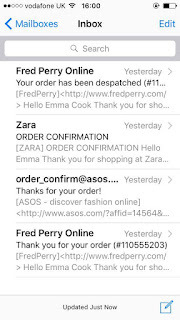 The internet, aside from ya know, being one of the most influential inventions of the 20th century and revolutionising modern society or whatevs, has been pretty disastrous for me and my shopping habits. I'm on first name terms with the local Hermes courier. Topshop, ASOS and Zara all know my bank account details. And before I moved to uni I was actually on an internet shopping ban. You name it, I've bought it online. Clothes, check, perfume, check, ice-cream maker (wait, what?!) check. The thing is with internet shopping is that it's so impersonal, so distant, that I can fool myself into thinking that I'm not actually spending any money. It's easy enough to convince myself that it's actually just an elaborate game of Sims and it's Mary from Pleasantville who is buying a pair of leopard print loafers in a size too small (because hey they might fit) and not me. And moving to uni has only enabled my dangerous habit. No more questions from my mum about why yet ANOTHER parcel has arrived for me and what's in it and Emma, why exactly do you need a polkadot fur pashmina. No, I don't get that from Andy and Bill. Ahh, lovely Andy and Bill the receptionists at my halls. They don't ask silly questions, they understand. No looks of disapproval and judgement from them as I go to collect my third parcel in a week. The only looks of disapproval I get now are from myself when I open my bank statement and take a long look at myself in the mirror. So I'm going to try and cut down (she says, already accepting the futility of her efforts.) 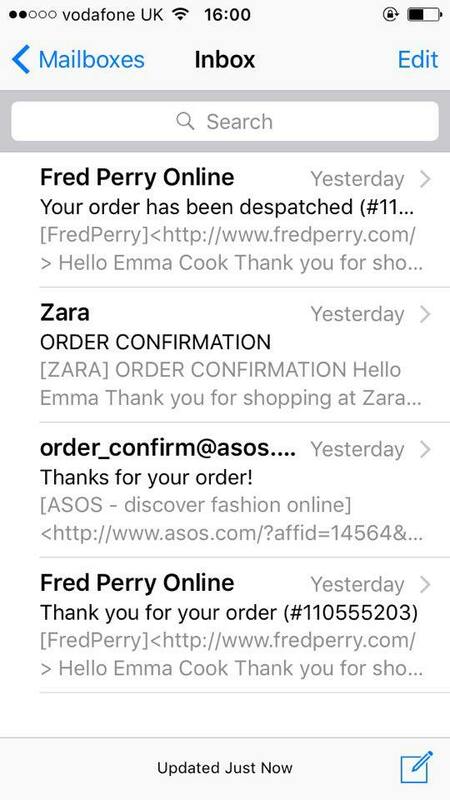 Next time Zara email me, enticing me in with their promise of discount and free delivery I will be strong. I will channel my energy into something more productive like charity work or cleaning my room or ok maybe I'll just eat some chocolate instead.